Curry Architects is unique in the architecture industry with 65% of its staff being women. Of the nine person management team, seven of the leaders are also women. 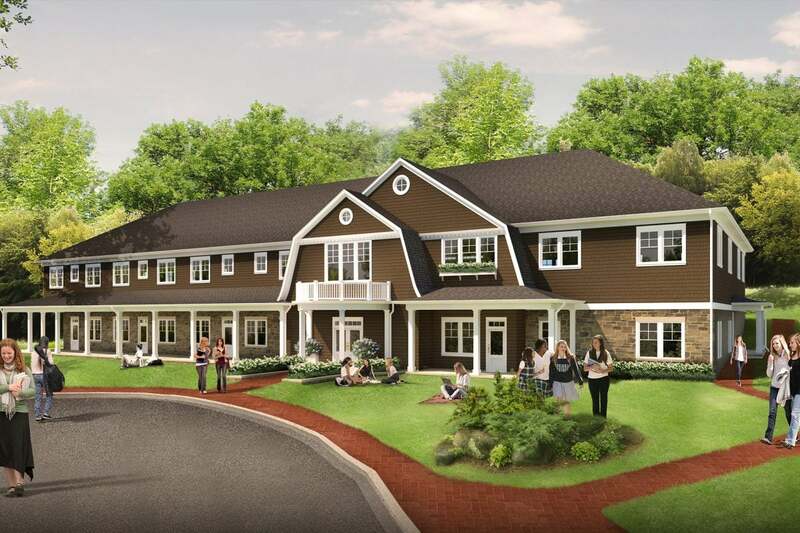 It was only fitting that when we were asked to design the new dorm for private all-girls K-12 school, Garrison Forest, we put together a team of all women to tackle the job. The new dorm will be able to house 24 students in addition to three faculty residences with three bedrooms to accommodate families. The lower level has flexible meeting space and a kitchenette in a spacious lobby with fireplace for the campus to host meetings and events. The building design will complement the historic structures on campus and the interiors will also focus on classic, timeless design with of course some pops of Garrison Forest’s blue.